As pressure mounts from compassionate activists worldwide, the number of airlines that still transport animals to their deaths in laboratories continues to dwindle. Of the few carriers profiting from the barbaric lab animal trade, Air France-KLM shamelessly leads the way. The Paris-based airline plays a vital role within the vivisection industry, shipping tens of thousands of helpless animals from East Asia and Africa to labs in the U.S. and Europe each year. Given Air France-KLM’s refusal to do what’s right for the animals, the international campaign against the airline is only intensifying. 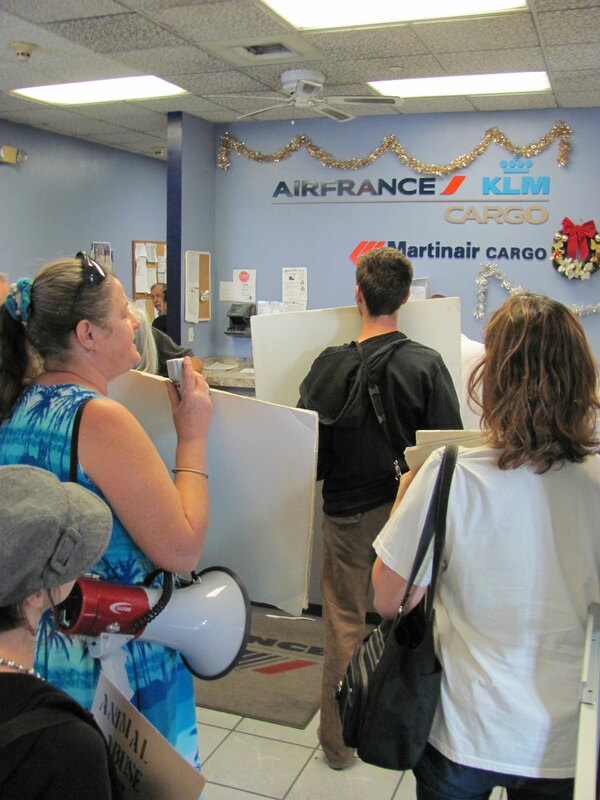 On Tuesday, December 20th, South Florida SMASH HLS joined forces with dedicated activists around the globe to make the message to Air France clear. 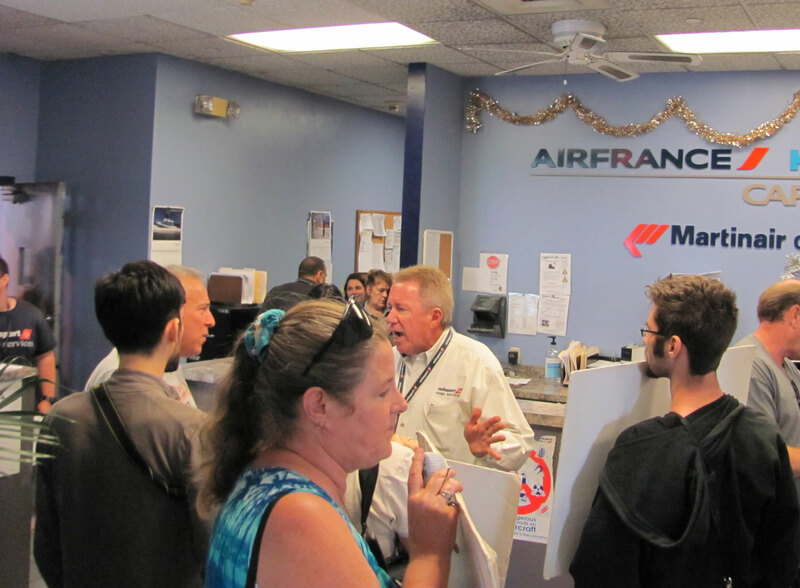 As part of the Global Week of Action Against Air France-KLM, a dozen of us entered the airline’s Miami office and let all those inside hear about the blood on Air France-KLM’s hands. Upon hearing our accusations, one representative denied the office’s connection with the French airline altogether, but the glaring “Air France-KLM” sign behind her indicated otherwise. Another official insisted we leave immediately as we were disrupting “a place of business,” warning that the police would be on their way. We held our ground and made sure that everyone in the office—aghast at the haunting images of misery-stricken lab animals—heard the truth about Air France-KLM’s despicable involvement in the vivisection industry. Air France-KLM, the growing opposition you face from those with a conscience will not stop until you stop sending animals to their death! Congratulations to you all. You held your ground, and make them take notice. The nerve of them to deny that Air France is not transporting monkeys to their death in Florida. Air France needs to join the growing refusal to transport primates to cruel laboratories that basically torture them!!! bless you guys! for standing up against these heartless bastards! Ron – great job with your introduction. The rest of the crew did an outstanding job also. Thanks for all you do !! !